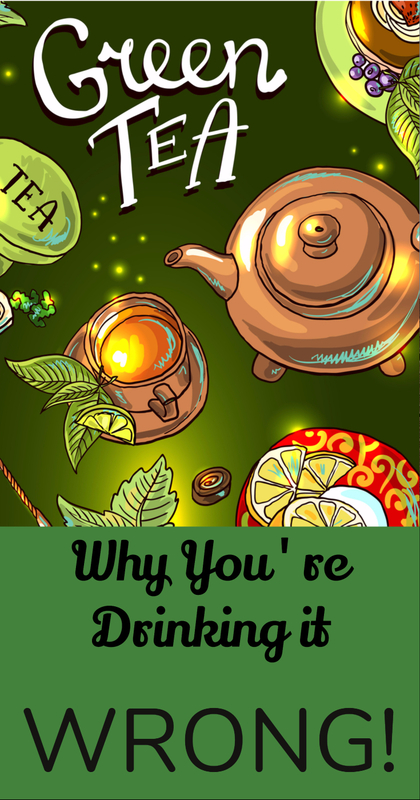 Green Tea: Why You're Drinking It Wrong! - Eat. Lose. Gain. I’ll admit that there was a time not too long ago when I never would have dreamed of drinking green tea. I’m really a coffee junkie. And I’ve always deemed tea to be a bit boring. But I’ve changed my ways recently And it’s because I discovered that I was drinking green tea all wrong. My old green tea ways. Cut back to 2015. I would just plop a tea bag into a cup, throw in some boiling water, and let the tea brew indefinitely. Seems simple enough, right? But no…that’s wrong. Wrong, wrong, wrong! And not only did this affect the health aspect of the tea. It compromised the taste as well. I was completely missing out on everything great about green tea. So if you, like me, think that tea isn’t for you, you might be drinking it wrong. I was purchasing green tea completely wrong. Teas aren’t all the same. Go figure! First, it’s best to buy loose leaf tea if possible. Did you know that many tea bags just contain the bits and end from the tea leaves that would otherwise be discarded? You’ll not only miss the full nutrient potential, but you’ll be horribly deprived in the taste department. That stuff isn’t very good. So loose leaf is best. But you can also look to some of the higher quality tea bag brands. Those brands offer larger tea bags with more whole leaves. Also, if possible, make sure to get organic. Tea leaves can be heavily sprayed. And green tea is such a healthy beverage. It’s a shame to weigh it down with a bunch of unhealthy pesticides. You can usually brew leaves at least twice, so that helps you make the most of your investment. So the way I brewed couldn’t have been more incorrect. And that explains a lot of why I found the taste to be unpleasant. What a difference once you brew correctly! First, I should never use water that reaches a rolling boil. The water should be hot. But an active boil will scald the tea, creating a bitter taste. And I thought hotter was better. Second, I should steep for only 1 to 3 minutes. After which I need to remove the tea bag. Again, who knew? Oversteeping further comprises the flavor. Once I made those changes, a cup of tea became a totally different thing. The flavor was transformed. And it was still hot, even though the water didn’t reach a rolling boil. Did you know green tea and black tea start from the same leaves? Green tea is in more of a natural state. You make black tea by further fermenting and processing the leaves. This alters the taste. And like any other processed food, it also hinders the nutrient value. There are many different types of green tea. And not only do they vary in taste, but they also vary in caffeine level. For instance, matcha green tea is naturally quite high in caffeine. Hojicha green tea is roasted, which results in a lower caffeine tea. But all green teas have less caffeine than coffee! Decaf teas aren’t all equal. And the labels can be confusing. Naturally decaffeinated green teas are decaffeinated via a chemical solvent. Which, to me, doesn’t sound that natural. Plus, the solvent can potentially compromise the nutrient value of the tea. The other option is CO2 decaffeination. This is a healthier option that preserves much more of the tea’s nutrient value. The best way to learn about the decaffeination process of a company is to research online. First, green tea contains antioxidants. 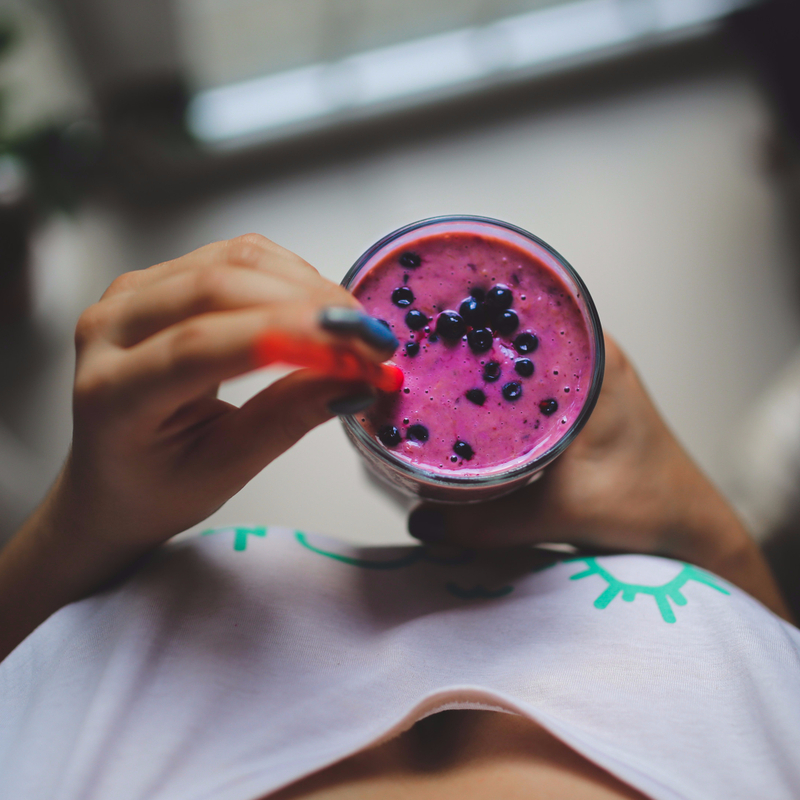 Antioxidants help neutralize toxins in our bodies. And given that a modern lifestyle exposes us to toxins, antioxidants can be vital to our health. Green tea is particularly high in polyphenols like catechins and flavonoids. These mighty antioxidants have been shown to reduce risk for major diseases like cancers. And given that about 40% of U.S. citizens in 2017 are expected to develop cancer over their lifetime, it’s nice to be as proactive as possible. Green tea may be helpful against Type II Diabetes. Don’t get me wrong. It doesn’t take the place of a healthy diet. But it can help improve insulin sensitivity. And insulin sensitivity is integral to diabetes prevention and management. It may also improve your heart. Antioxidants help ease inflammation in the body. And inflammation often triggers heart disease. Not to mention that green tea can potentially help improve cholesterol levels as well. Give this tea another try. If tea disappointed you in the past, give it another try. I’m really happy that I did. Because it’s possible that you’ve just been drinking it all wrong. Get better quality leaves. Experiment with new methods of brewing. And green tea just might become your new best friend. And your body might just thank you for it too! So many great things here. I use to steep my tea for a long time also and I just kept complaining how bitter it was. Lesson learned. I never thought there would be a difference with the water. 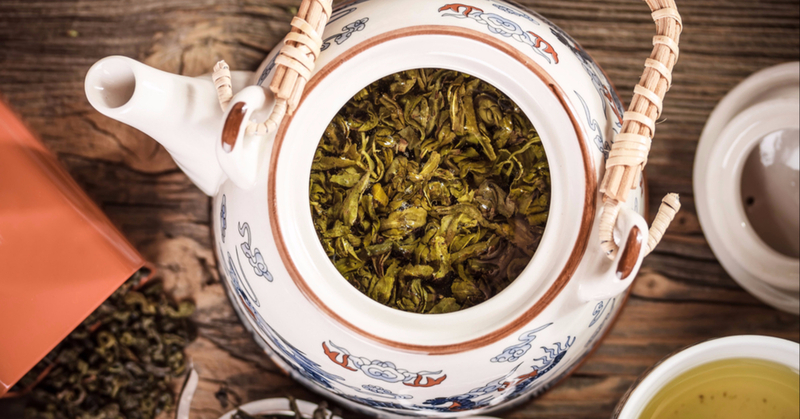 Thanks for sharing these lessons that you learned when preparing Green Tea. I think it’s really important that we prepare it the proper way to get the full benefits and to enjoy it better! I have always heard that green tea was the most healthytea but never knew there were so many differences in tea preparation. I will consider cutting back on the coffee and choose tea. I really should have a cup of green tea daily. I’ve read that it’s great for a lot of different things. Great points to think about when I go to make a cup. I love making different teas or hot chocolate (though that has no true health benefits) and the first thing I learned was how much better everything tasted when the water was hot but hadn’t boiled! I miss green tea, too much caffeine for me! I always knew green tea was super healthy, but always shied away from it because when I make it, it tastes very bitter, and on top of that…it basically tastes like grass! Yuck! Who knew it was because I was boiling the water?? We have a local kombucha shop that has the most wonderful loose leaf teas and you are absolutely right, it makes such a big difference! I drink a lot of tea. Thanks for the info, as I was doing it wrong. Also, I need to read the directions on the package. There they were, just like you said to do it. My husband is a huge fan of loose tea. I like green tea a lot, so I am going to have to try to find some good stuff. I like your encouragement to give foods that disappointed you in the past another try. I have done that with a few different things to find out that something I thought I didn’t like (like tomatoes or mushrooms) are actually delicious when prepared well and with other foods I love! I need to step my tea game up. I do not buy loose leaf but need to get the tools to do so I know it would make all the difference. I love drinking green tea and do almost every day! I just love all of the benefits it has! I”m a big fan of green tea and have always been disappointed when I can’t get it to taste the same as it does at restaurants. Loose leaf definitely tastes better. I also learned that the don’t steep for too long lesson as well. Otherwise, it tastes so bitter. I had no idea about any of this!! I am mainly a coffee drinker so that may be why but tea is my must have when I don’t feel well. I’ve just been grabbing a quick k-cup and getting my sip on. I will definitely be changing a few things and passing this on to my Hubby who love tea! I really need to try green tea again, now that I have a kettle with an adjustable temperature. But I think I will follow your advice first, and invest in a higher quality loose tea leaf. I’m hoping that will make a difference. If not, I’m OK with that. I love my black tea and I really enjoy white tea as well. That’s enough tea options, and they’re all very healthy. Excellent post! I’ve been doing tea all wrong too but I suppose we all have our ways to do things in our own homes. I’ll be making a cup with your tips this morning! I love green tea and I’m so glad I found this article! I haven’t been drinking it wrong necessarily (I don’t use boiling water and I’m careful on steeping time), but I could use a little improvement in looking for more quality leaves! Thanks for the reminder. Returning to healthier eating is on my goals list for 2018 and I think a daily dose of green tea might be a perfect treat! I never knew there were so many ways to prepare tea and just like you used to do, I also throw a teabag and just let it steep, now I know that’s a mistake, thank you for the tips. Oh gosh! I learned so much in this post! I was definitely doing it wrong! I used to hate green tea but over the years it’s become a favorite of mine. I don’t k ow what changed but I love it! I love green tea. It’s my go-to afternoon drink after my cup of coffee! I agree oversteeping is a common mistake. It won’t taste good, especially not green tea. Thanks for sharing your tips! I love drinking tea just like i love my coffee. And i also learned the difference of drinking tea the English way, versus the Oriental ways. It is a very interesting conversation. wow I didn’t know that you shouldn’t steep your green tea that long! I too thought that longer was better / more flavorful. Great read! I love green tea, but had no idea there was a proper way to drink it! I’m going to try your tips. I never knew all this about green tea! Such an informative, helpful post this is. I have been doing everything wrong that I could with green tea! Maybe this explains why I have never liked green tea! I’ll look for the good stuff at our local tea and coffee shop and let you know! I love green tea! I only drink it while I am at work though, I dont know why! I need to steep for shorter periods.. great tips here! Being British I have my daily tea, even after being in the States for over thirty years. I drink English Yorkshire tea and yes tea leaves. Teabags are no comparison. Green tea I’ve never tried. Stuck in my ways i guess, but after reading all the benefits, I may give it a try. Thanks! Wow, I didn’t know so many of these facts! l’m a big fan of green tea and love the benefits. My best friend keeps giving me green tea, but I drink it less often. I tend to microwave my water so it never reaches a rolling boil, but I have definitely been steeping it too long.